Some photos of ACTA members enjoying themselves. 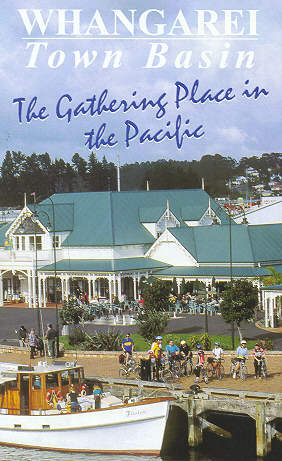 When Whangarei City wanted to do a promo, they could not have chosen better subjects than ACTA members wondering what to do next. Here they are at the Whangarei Town Basin. 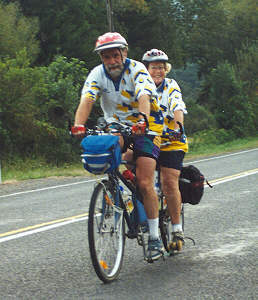 ACTA members prefer to travel by bicycle. At least when they have that feeling of deflation, they are let down slowly. One summer's night we decided to have a midnight madness ride. 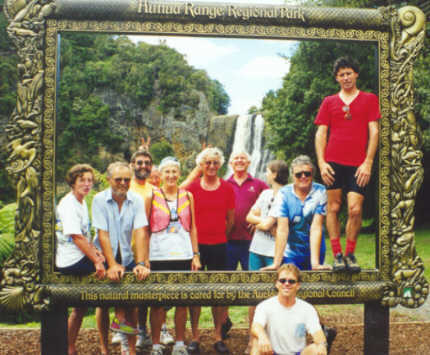 This was just before the start, and the climb up the Hunua Gorge. The finish was about 9 hours and 100 km later, after having had breakfast on the beach at Kaiaua. Whenever new members turn up for a their first ride with the Club they always get a warm and cheery welcome. 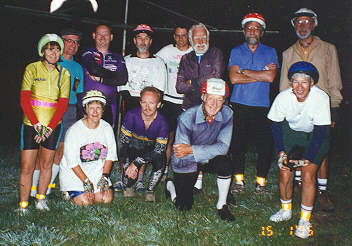 Near the end of the last century some of us joined the Great Lake 2 Day Cycle Tour. Here's a couple of old fogies who are smiling because they have just had an awesome downhill and the hot pools at Tokaanu are only a couple of km away. And some of our members are real works of art, although these ones reckon they were framed. It's a shame they are preventing other members of the public seeing the Hunua Falls.